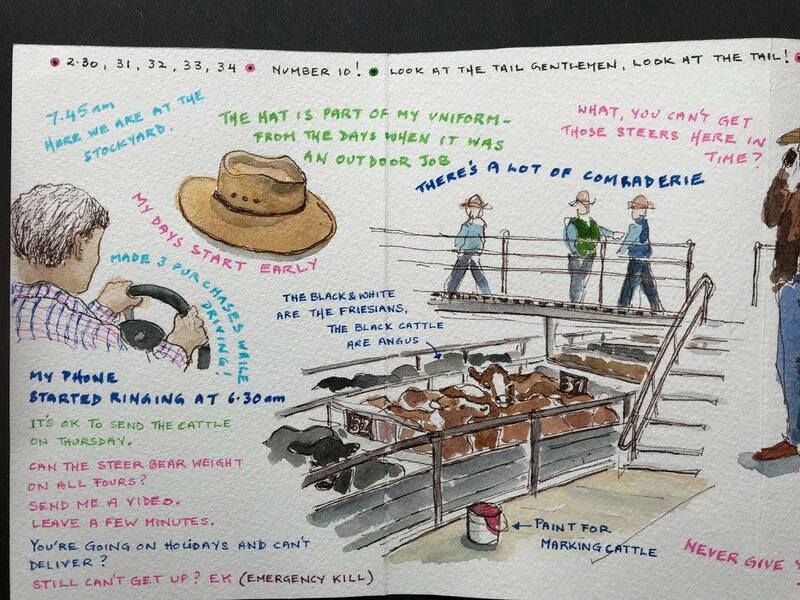 I recently put in an entry for the "Capturing Work" Urban Sketching competition. It was run by the Centre For Transformative Work Design at the University of Western Australia. The brief was to "create a sketch-montage not just of a workplace but what it feels like to do a particular job". It had to be done on a short concertina sketchbook of a specified size and had to be accompanied by a 250 word essay about the job. Judging was based equally on the artistic value/communication delivered in the visual as well as the essay. 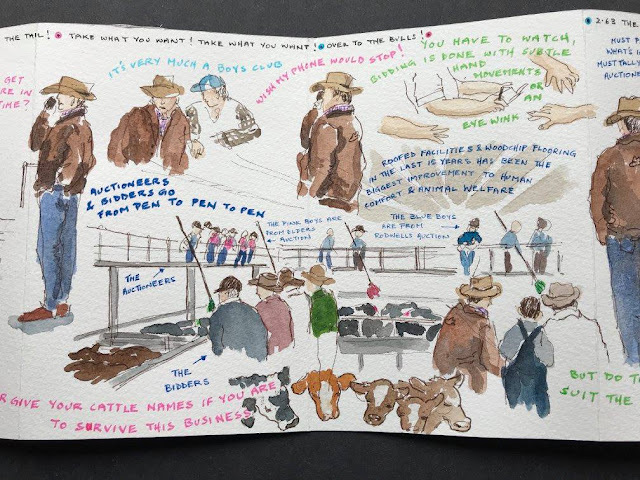 Urban Sketcher Lynne Chapman who recently completed an Artist in Residence position at the centre was the judge for the visual component of the competition. I didn't win either of the two very generous prizes. There were 42 entries from 9 countries and I'll be looking forward to the online exhibition of all the entries at a later date. It's going to be fascinating! I chose to do my submission on my neighbour Jeff who is a cattle buyer. He had offered to take me to see him at work in a stockyard so this seemed a great opportunity to take up his offer! 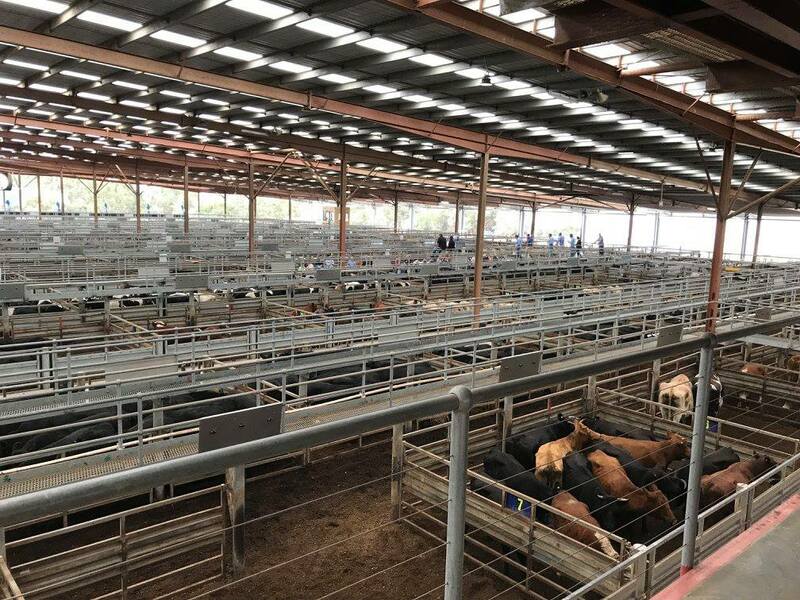 We chose the Pakenham Stockyard as it is the nearest stockyard to where we live and we arrived there at 7.45am. It was just a large long covered building which I planned to sketch but ran out of time and space on my paper. The first thing that hit me on entering the building was the SMELL OF CATTLE! Interestingly by the time we left late morning I wasn't aware of the smell at all and completely forgot to add "SMELL" to my visual. I asked Jeff if the smell bothered him and he said "what smell". 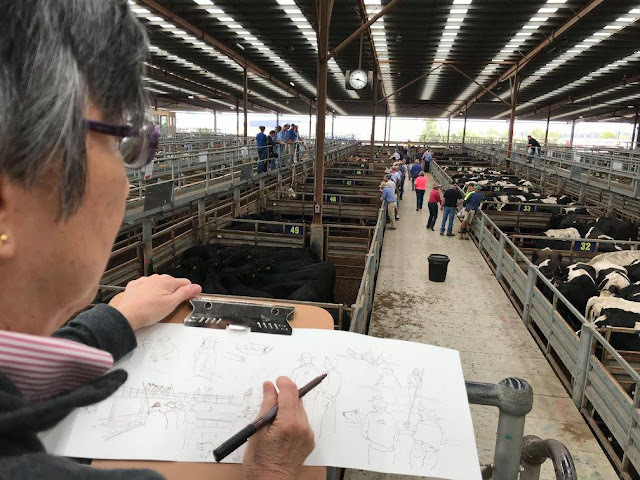 As this was my first (and only) time going to the stockyard, the first difficulty that arose was how much space on the paper to allow for the sketching of each scene as I really didn't know what was going to unfold in the course of my time there. After awhile I got the hang of what to expect – in fact it was the same scene depicted over and over again as buyers and auctioneers moved from pen to pen. I added the subtler activities as it was explained to me by Jeff as we moved along with the crowd of buyers eg. how bidding was done with a touch to the nose or subtle raising of fingers. 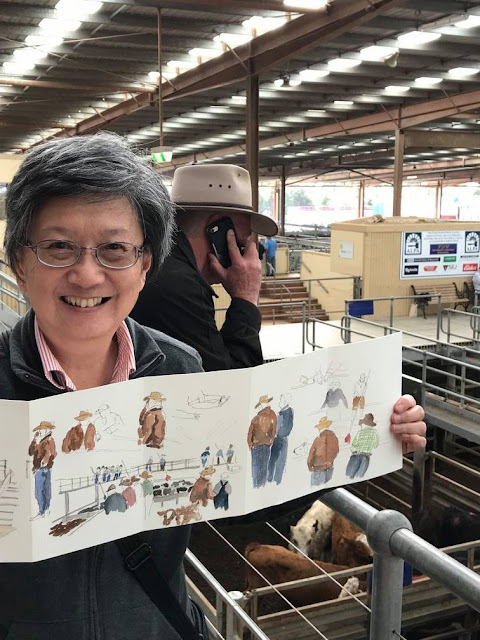 Cattle were generally sold by the pen but if a particular steer was being targeted individually then it was marked with a brush on a long handle dipped in pink or greeny blue paint. I decided to use my coloured markers in these colours for the quotes. In preparation for this trip I had practised drawing cattle (from the side) but on the day all I ever saw were the tops of their backs with the occasional head rearing up. They seemed rather sedate and some were quite thin. Jeff said they were probably just very tired as they would have spent the night there or arrived very early in the morning. Poor things! Some of my morning was spent taking notes of what was said around me and having many things explained, these quotes were mostly added to my visual at home, tucking as much as I could into the sketch. 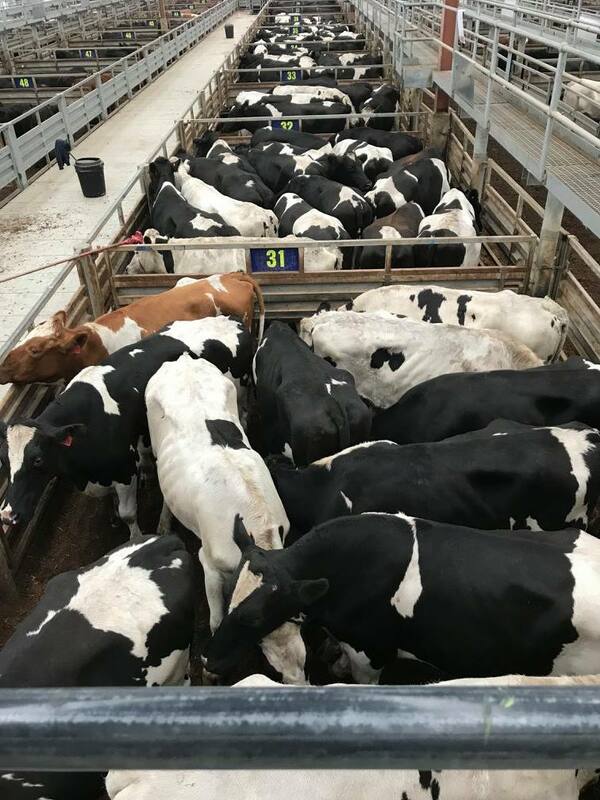 After each pen of cattle was purchased, the animals were immediately moved along ramps to trucks which took them away to the abattoirs. This all took place at the other end of the expansive building. Time didn't allow me to capture this part of the process, besides I had run out of space on my paper and was by then too exhausted. We left before lunch as Jeff had to go onto his next stockyard half way across the state of Victoria. Here's the work in progress (with Jeff on the phone behind). He was constantly on the phone! Here's the final submission. (The hat was sketched last to fill a gap). As for now having some understanding about how juicy steaks get onto our plates the trip to the stockyard was (almost) enough to convert me to veganism! Through this competition I've been introduced to the topic of work design and as an urban sketcher it was a fascinating exercise. 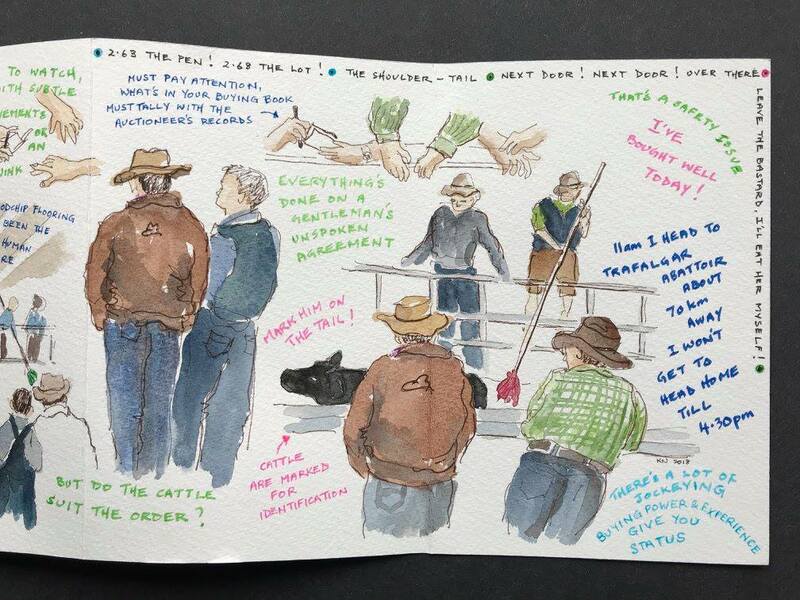 The combining of visual and verbal in my urban sketching is now a new found interest! Below is my essay (which required a lengthy interview with Jeff all about cattle buying!). Like his father and grandfather before him, Jeff has been a cattle buyer for many years and has seen many changes in the cattle industry. The day starts very early as he has to drive (sometimes hundreds of miles) to stockyards where he makes purchases of cattle on behalf of the company he works for. His is a highly responsible job as he might make purchases worth hundreds of thousands of dollars. 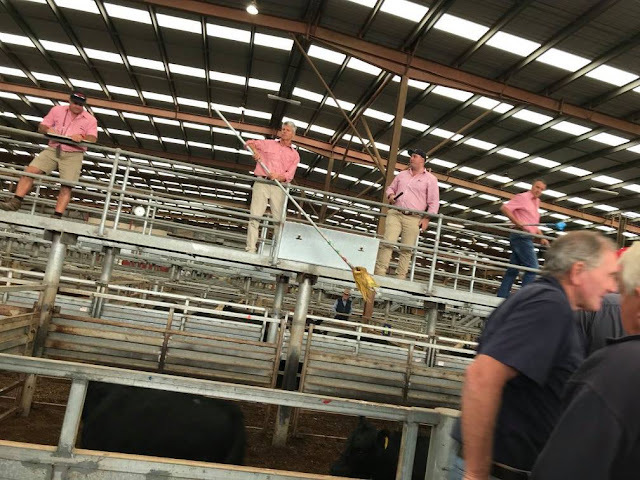 He makes a visual appraisal on site as to the worth of the cattle and relies on his own experience and standing among the bidders to make a successful purchase. As part of his job he is also the livestock manager for his company and is solely responsible for all livestock decisions. He sees to animal welfare and ensures a smooth supply of cattle from farmer to stockyard to abattoir. Disruptions to supply impact not only bidding at stockyards but also work schedules at abattoirs as both work to a tight schedule. 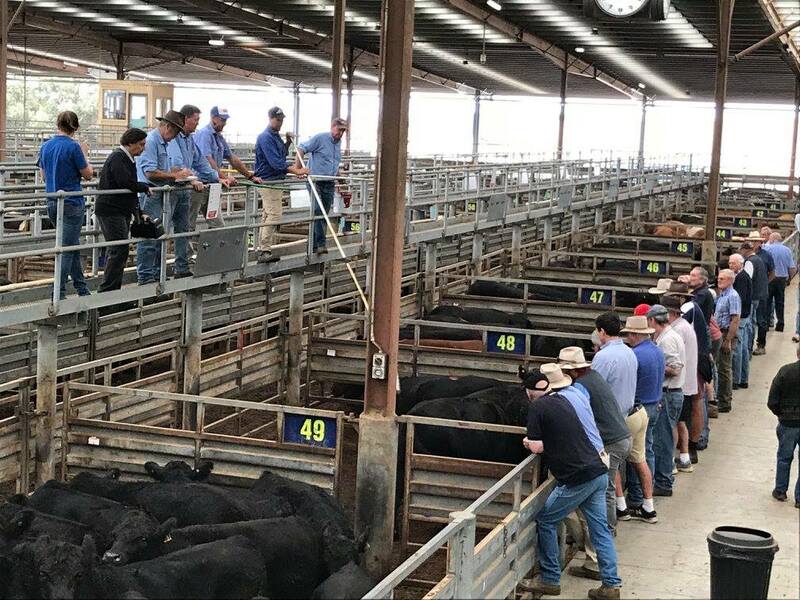 Sometimes farmers sell directly to him enabling them to cut out costs they would otherwise incur at stockyards. While he finds his job interesting and satisfying he finds it difficult to cope with being constantly on demand. This has come from the use of mobile phones. While the technology has certainly made his job more efficient, the downside is that he is constantly available to whoever needs him (often from 6.30am till after 8pm even on weekends). The workday proceeds at a pace he sometimes finds difficult to maintain. He feels this unrelenting fast pace has just become the nature of the job. It was nice to find this link and see the winning entries. Thank you ( though the post was removed from USK it seems ). A wonderful experience, beautifully rendered! Brava.